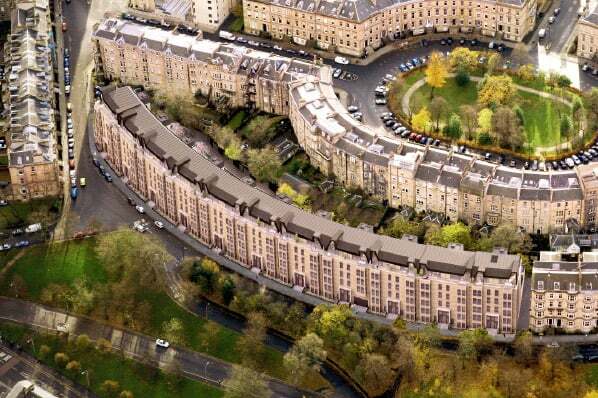 98 new, exclusive apartments and penthouses completing the final quadrant of Park Circus. Park Quadrant Residences is a prestigious development of traditional yet contemporary apartments and penthouses combining bold, modern design with sensitivity to the area’s historical, high-quality architecture and landscaping. The Park Circus area, crowning the north-east edge of Kelvingrove Park, is heralded as the finest example of Victorian townscape in the city. This development will enhance what is already essentially the ‘jewel in the crown’ of the West End of Glasgow and one of the most prestigious addresses in Scotland. Generously scaled and elegantly designed, these new homes will combine the classic and the contemporary with stunning results. Eleven apartment blocks spanning six floors and consisting of one, two, three and four bed, duplex and penthouse apartments will offer a unique opportunity to be part of an exciting and dramatic development. With leafy parks, stunning architecture and some of the city’s best artisan food, Glasgow’s West End was recently voted ‘Best Neighbourhood in UK & Ireland’ by the Academy of Urbanism. 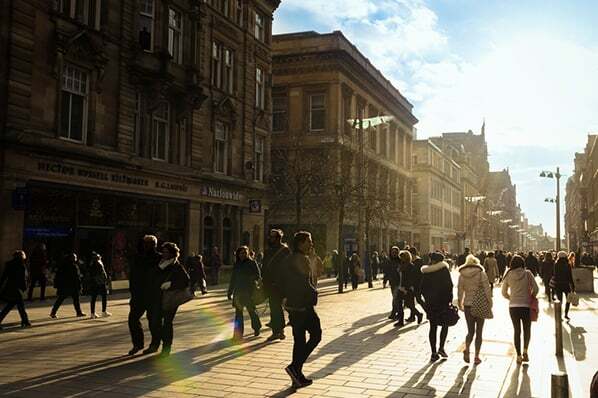 Just a ten minute walk to the city centre and a fifteen minute drive to Glasgow Airport, the area offers some of the best connectivity in the city. Part of the original Charles Wilson Park Area masterplan, construction of the concentric ringed Circus area halted in the mid 1850’s and the final quadrant lay undeveloped, until now. This legacy has resulted in the Park Quadrant site becoming ‘the missing piece’ of the historic Park Circus area. From underground car parking and lift access to wide open spaces and outdoor areas, every detail has been designed with luxury living in mind. All of this in the heart of one of the most vibrant cities in Europe. Named the ‘World’s friendliest city’, Glasgow boasts World-class attractions in the form of arts, culture, fine eateries and a plethora of entertainment venues. A member of the Savills sales team will be in touch to discus your interest.